Highly-rated right-back wants Champions League football and he certainly won’t get it at Newcastle. Mathieu Debuchy has opened the door to a summer switch to either Paris Saint-Germain or Arsenal by admitting that he is missing Champions League football. The 28-year-old, who has been linked with interest from the Gunners and the French champions this year, is currently at the FIFA World Cup in Brazil. Debuchy has been used as France’s first-choice right-back in their opening two games of the tournament, starting ahead of former Arsenal defender Bacary Sagna, who recently joined Manchester City on a free transfer. 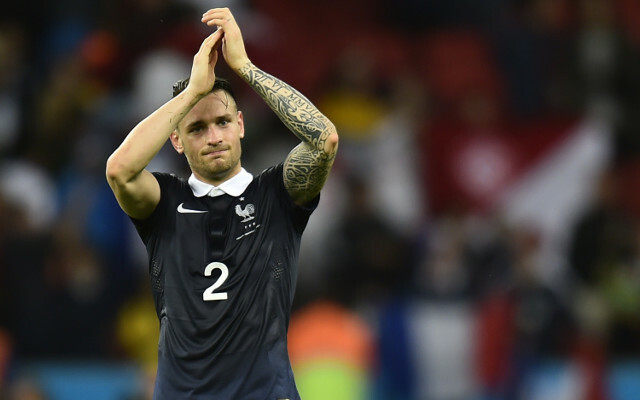 Despite having four years left to run on his current Newcastle contract, Debuchy seems open to the idea of a move. He told the Evening Chronicle: “Personally, it’s a great adventure. I have discovered English charm, which is very hard, Newcastle and their extraordinary fans. “Having said that, I miss European football and the Champions League in particular. Debuchy has never played European football with Newcastle, whom he joined in January 2013. However, he started nine Champions League games for former club Lille. PSG booked their place in next season’s Champions League by winning Ligue 1, while Arsenal secured their seat at Europe’s top table for a 17 successive year by finishing fourth in the Premier League. With France having already qualified, barring a mathematical miracle, for the knockout phase of the World Cup, Debuchy may be rested for tonight’s clash with Ecuador.